On 3rd September the District Court of the Šalčininkai Region Council (Šalčininkų rajono apylinkės teismas) imposed a penalty on the Administration Director of the Šalčininkai Region Council for failing to enforce a ruling concerning the removal of bilingual street signs from private houses. A penalty of 1880 litas was imposed on the Administration Director, J. Rybak, who came into office on 2nd June 2014. The imposed penalty at the rate of 20 litas per day has been already paid. However, all the bilingual street signs should be removed in order to enforce the ruling. The representative of the government in the Vilnius region also demanded the introduction of a new street signing system according to which posts with street signs in Lithuanian should appear in the streets. The city council would be responsible for the new street signing system. 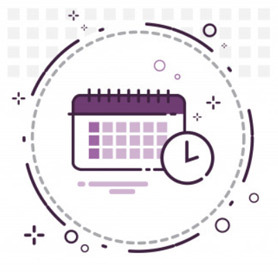 Prior to 31st October the city council should estimate the cost of the new system and decide how it will be introduced. However, on 2nd October the representative of the government in the Vilnius region stated that the local government authorities provided suitable evidence that the ruling has been enforced. 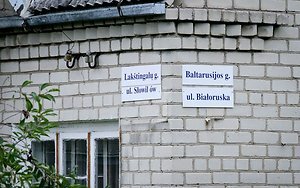 The posts with street signs in Lithuanian have appeared but the street signs in languages of the national minorities have been not removed, because they are privately owned. The European Foundation of Human Right (EFHR) wants to remind everyone that the street signs in question are privately owned and the owners do not give their consent to remove the signs. There is no ruling concerning natural persons or a court ruling to rely on in order to impose penalties on natural persons. Besides, to this day there is no regulation governing these issues. There is a problem with the regulation of the rights of national minorities because, in accordance with Article 11 of the Framework Convention for the Protection of National Minorities, in areas traditionally inhabited by substantial numbers of persons belonging to a national minority, the State shall endeavour to display traditional local names, street names and other topographical indications intended for the public also in the minority language when there is a sufficient demand for such indications. We also want to remind everyone that you can find more information about the right to own bilingual street signs in the leaflet „Prawo do posiadania tabliczek ulic i miejscowości” prepared by EFHR. EFHR will provide free legal aid for all owners of bilingual signs, including representation in national and international courts.